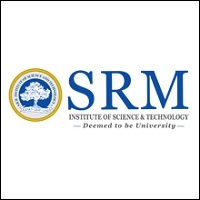 SRM Joint Engineering Entrance Examination or SRMJEEE will be conducted by SRM Institute of Science and Technology from April 15 to 25, 2019 for admission to B.Tech programmes offered by the institute. Candidates interested must first check the complete eligibility criteria of SRMJEEE 2019 and then only proceed to fill the application form by April 20, 2019. The final date to submit the OMR application was March 1, 2019. The successfully registered candidates will be issued admit card/ hall ticket of SRMJEEE 2019 which they will have to download and carry to the exam hall. The exam will be conducted according to the prescibed exam pattern of SRMJEEE 2019 in which candidates will be required to answer questions based on the syllabus of SRMJEEE 2019 as released by the institute officially. The result of SRMJEEE 2019 will be announced by the authorities in the form of merit list. The authorities concerned will use the scores of SRMJEEE 2019 to prepare the merit list. The qualified candidates of the entrance exam will have to participate in the counselling of SRMJEEE 2019 to take the admission process further. SRMJEEE 2019 counselling will be conducted in two rounds in offline mode and seats will be allotted to candidates' on the basis of their merit, availability of seats and choice filling. The last date for the online application form of SRMJEEE 2019 has been extended till April 20. The application form has been available in both online and offline mode from October 27, 2018. The offline application form submission however was closed on March 1, 2019. To know the procedure of filling the application form, check the steps given below. The correction facility for the application form will be open from April 5 to 10. Candidates cannot change their email id, mobile no. and campus preference. Step 1: Registration – Candidates will have to first register by providing the details required like name, email address, mobile number etc. Upon successful registration, they will get a mail on their registered email address. To activate the account, candidates will have to validate the link sent to their mail. Step 2: Filling the details – Candidates will have to login with their credentials and fill the application form of SRMJEEE 2019 with the details required. Along with the details, they will also be required to select minimum 3 exam centres according to their preference from the list available. Candidates will also have to upload their photograph and signature in the specifications prescribed officially. Step 3: Application Submission & Payment - After checking all the details filled and agreeing to the declaration, candidates will have to submit their application form. It is important for candidates to know that for submission of application form too, they will have both options – Online & Offline. Candidates who are appearing in the exam need to follow the preparation tips to be able to score better. These preparations tips for SRMJEEE 2019 can be used by candidates to plan, manage and execute their exam strategy well. Tip 1- Be an early bird: It will be better to start the preparation as early as possible to have enough time later for revision and practice. Tip 2- Know SRMJEEE Exam Pattern & Syllabus well: While making the exam strategy, it is important that candidates know the official exam pattern and syllabus of SRMJEEE 2019 beforehand and then plan accordingly. Tip 3- Books to Refer: Candidates generally face this problem of picking the right books for preparation. For SRMJEEE preparation, the school text books will be good enough for knowing and understanding the concepts. However, experts suggest that candidates can also refer to some good reference books to prepare better. Tip 4- Practice from SRMJEEE Sample papers: Practice, practice, and practice as it will help candidates to know their shortcomings timely and they will be able to overcome them timely. Tip 5- Revise: Revise everything that belongs to SRMJEEE 2019 syllabus till the day before the entrance exam. Tip 6 – Take care of yourself: Don’t take unnecessary pressure and stress. Take regular breaks in between the preparation schedule. Keep up the spirit high. Stay calm and positive during the process. For candidates appearing in the entrance exam, it is important to know the exam pattern of SRMJEEE 2019 to be able to strategise their preparation accordingly. The institute will release SRMJEEE 2019 exam pattern for candidates to be aware of the number of questions asked in the exam, language of the exam, time duration in the exam and mode of exam etc. 5 Subjects from which questions will be asked Physics, Chemistry & Mathematics. The institute has released the mock test of SRMJEEE 2019 for candidates to be familiar with the type of questions that will be asked in the exam. By taking up SRMJEEE 2019 mock test, candidates will be able to know the pattern of the question paper and hence they will appear in the exam more confidently. How to take SRMJEEE Mock Test 2019? The admit card or hall ticket of SRMJEEE 2019 can be downloaded by candidates from April 10 to 23. SRMJEEE 2019 admit card will only be generated for those candidates who have successfully booked their slots. Candidates will have to download their SRMJEEE admit card 2019 by using their credentials and will be required to carry it to the exam hall along with two passport size recent color photographs on the day of the exam. How to download SRMJEEE 2019 Hall Ticket? Candidates appearing in the exam will have to complete their slot booking of SRMJEEE 2019 between April 10 to 22, otherwise they will not be able to appear in the exam. Since, it is an online exam, SRMJEEE 2019 slot booking becomes an important event; the institute will open the facility in online mode. SRMJEEE slot booking 2019 process will be real time as well as on a first come first serve basis. To book slots, candidates will have to choose date and time for the exam as per their convenience. Candidates can enter up to three slots while booking their slot. It is important to know that without slot booking, the admit card will not be generated. The result of SRMJEEE will be announced by the institute in online mode on April 28. Candidates will be able to know and check their ranks as obtained in the entrance exam from SRMJEEE 2019 result. 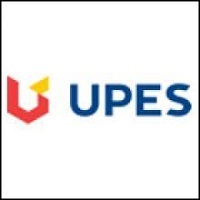 The university does not declare marks secured by candidates in the entrance test. However, a merit list will be prepared based on the total marks of the candidates. The minimum ranks required for admission is the cutoff of SRMJEEE 2019. Candidates having ranks more than or equivalent to SRMJEEE 2019 cutoff will have more chances of admission in comparison to those who have lower ranks. SRMJEEE cutoff 2019 will be released category wise for all four campuses. The cutoff will contain opening and closing ranks for each programme offered. The authorities will consider various factors to determine the cutoff of SRMJEEE. The counselling of SRMJEEE will be conducted in two phases; in which Phase 1 will be conducted in offline mode and Phase 2 will be conducted in online mode (for those who will miss the first phase of counselling). The qualified candidates of the entrance exam will be required to download their counselling call letter by logging in. They will have to fill their choice of colleges and courses according to their preference and report in person with the documents required in original and pay the fees on the dates specified by the institute. 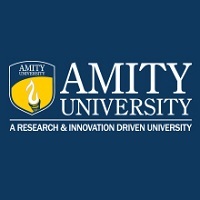 Step 1: Registration and payment of tuition fees – Candidates will have to register, fill their choice of colleges and courses and pay the tuition fees of Rs 2,10,000 (inclusive of Rs 10,000 of registration fees and part of first year tuition fees) through E-pay facility or through Demand Draft drawn in favour of “SRMIST” payable at Chennai. Step 2: Reporting at the institute allotted – Following the fee payment, candidates will have to report to the institute on the date and time allotted as mentioned in the call letter. Candidates will be called for counselling according to their ranks in the merit list prepared by the institute. There will be different counselling schedule for different SRM campuses. Step 3: Allotment of seats – Candidates who will be allotted seats on the basis of choice filling, merit and availability of seats will be given provisional allotment letter. After receiving the letter, candidates will have to pay the remaining tuition fees within the time period given, otherwise their admission will be cancelled. How to download call letter? Your SRM Joint Engineering Entrance Exam (SRMJEEE) brochure has been successfully mailed to your registered email id “”.